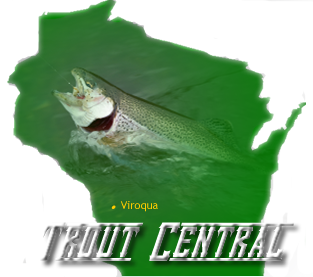 In June, 2000, I began writing a trout tip column for The Daily Press, of Ashland, Wisconsin. Since then I have written over 400 trout tip type articles that have appeared in newspapers and magazines. My trout fishing articles are enjoyable to read as each is written in story form with at least one trout tip. 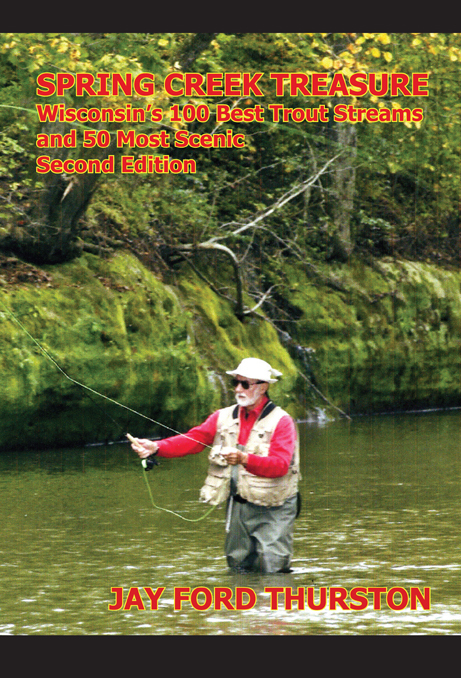 In my trout books secrets are provided on where and when to fish trout. For example, it’s important for you to know the time of year when most trout are in the lower third of the stream, and the time when most are in the upper third. Also, you should know about the eye of the trout and the lateral line so you know when to fish and how to wade the stream. 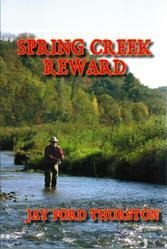 I write in detail about cloud cover, stream temperature, what color lure is best, and what time of day to fish. I guarantee, if you read my trout books and apply my secrets, you will improve your trout fishing and have more enjoyment fishing trout. Sharing the secrets of trout fishing is what I am all about. Giving you my best trout tips helps me to continue the learning process. Please read and enjoy. All trout must avoid bright light. Our eyes can adjust to light; the eyes of a trout can’t adjust. Without getting too technical, I want to point out the difference between the human eye and the eye of trout. Then you will understand why it’s best to fish in low light conditions. Also, you will know why you should present your lure, and move about, in the blind spot of the trout. Over the years I have found that rainy day fishing works best on the most heavily fished waters where fish hold fast to cover and are hesitant to hit any offering. Fish seemed to have learned that the rain makes food easily available and also causes most anglers to quit fishing. The next time you put on sunglasses think about this. The pupil in both your eyes have already contracted to let in less light and you can close your eyelids part way to protect your eyes. A trout can’t do either of those two things. Therefore, the larger the fish the more it needs and seeks out low light conditions. A large trout is not a Hollywood star performing in the bright light. It’s a recluse hiding under cover. It hides under turbid water, under logs, under banks, and under the cover of clouds. It has to hide because to come out in the bright sun would be painful.